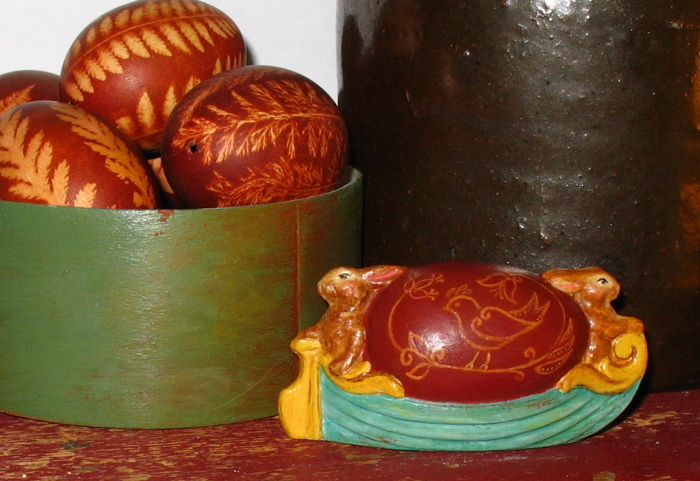 Of note: Cast in chalkware using an Anton Reiche (Dresden, Germany) antique chocolate mold. 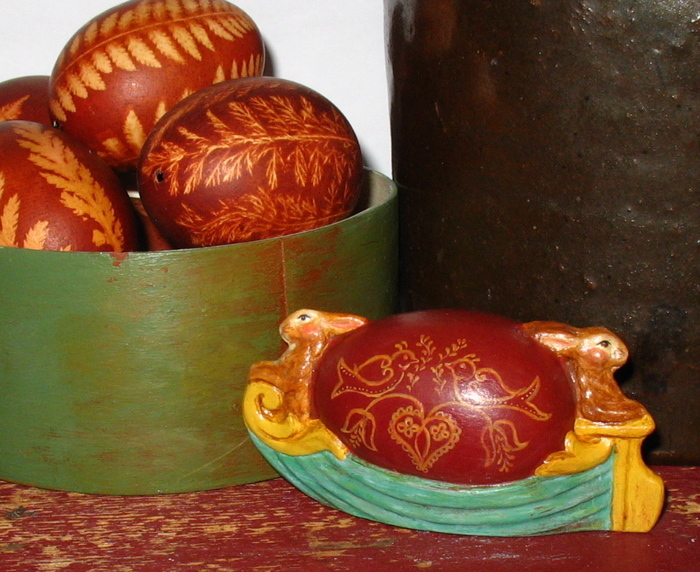 The egg is painted with an onion skin color and PA Dutch designs on both sides of the egg. The figure, measuring approx 4 inches will be signed and dated "Bittersweet House Folk Art, K. Campbell, Sherborn, MA".